Country Comes to Town at the Mississippi Farmers Market. 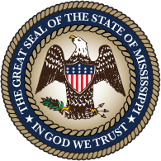 The Mississippi Farmers Market was created to provide facilities for the efficient handling of farm products in the interest of the farmer, consumer, general public and the State of Mississippi. At last, we have a centralized spot to find farm-fresh produce raised by Mississippi farmers. From persimmons to peaches, from bok choy to butter beans, the Mississippi Farmers Market is the one place to go for the freshest fruits and vegetables that are grown in the rich soil across our great state. Growers from large and small farms alike use the Market to bring Mississippi’s bounty to its citizens. Bringing all the richness of Mississippi ‘s fruit and vegetable production together in one location means having a structure large enough to handle the state’s rich output. This wonderful facility is the largest of its kind in the state and is conveniently located on High Street near the Fairgrounds. An all-weather building, it offers 18,000 square feet and 32 stalls with roll-up doors. The Mississippi Farmers Market is helping to re-establish that time honored tradition of fresh market produce sold directly to consumers by the folks who know it best – the people who grow it. No middleman, no big chain supermarket are involved but just the best food that comes straight from the field to you. Visit our FACEBOOK page! Click here. 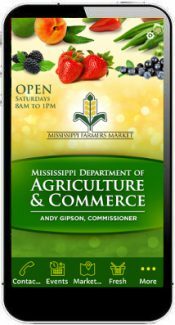 Get the Farmers Market app and stay up to date with what’s available at your local farmers market. 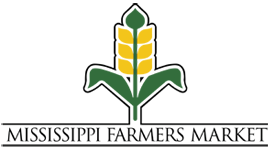 Farmers will be at the market on Saturdays 8:00 a.m. until 1:00 p.m. Located in downtown Jackson off High Street.